TT RS LOOKS MORE BOLD AND SHARPER! Audi has fiddled with its compact sports car's to deliver a more masculine look. 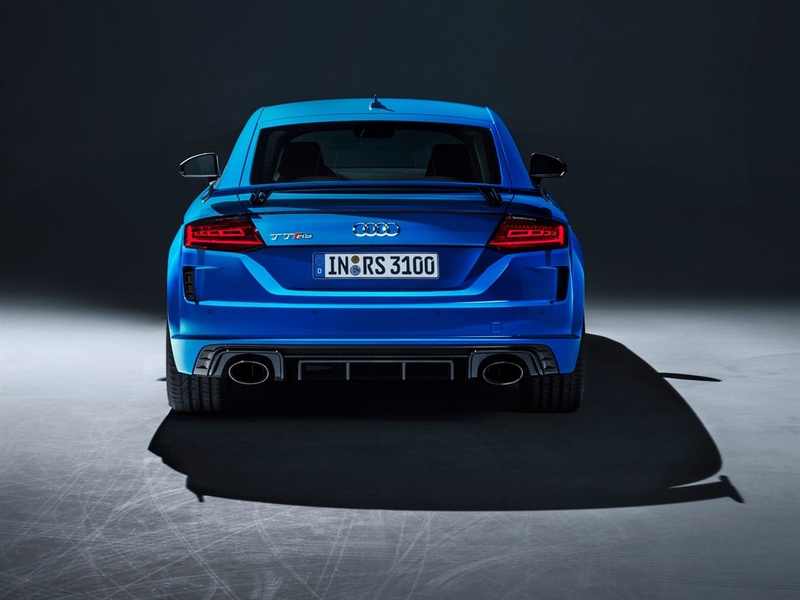 The 2.5-litre 5 cylinder engine in the new TT RS still makes the same 294 kW and 480 Nm or torque as in the old one and it will still take 3.7s to do the 0-100km/h sprint and it still tops out at 250/kmh. “The new TT RS is in absolute peak form. 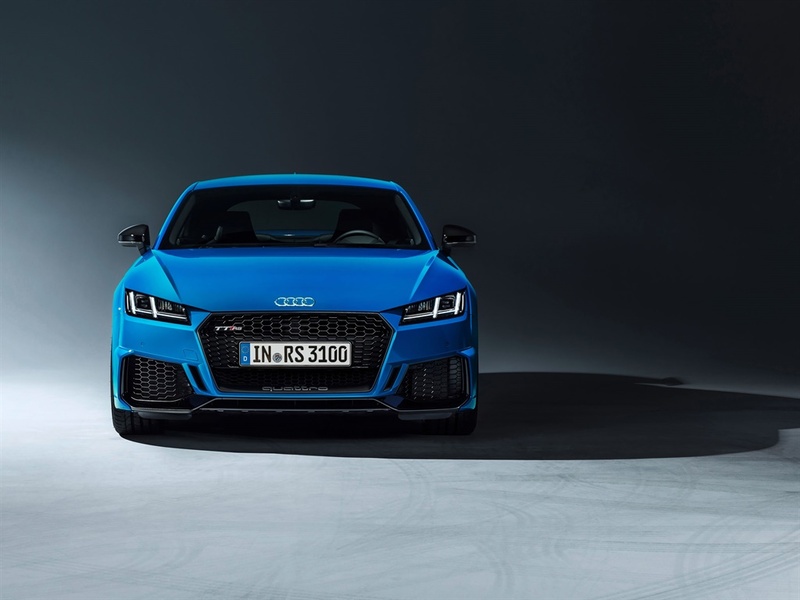 Like a well-trained athlete, it showcases even more prominently how much power lies beneath its muscular outer skin," says Michael-Julius Renz, CEO of Audi Sports GmbH. Honestly, you'd have to be a TT aficionado to notice the difference between the old and new TT RS. 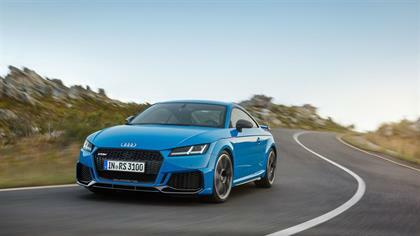 But Audi says that they "completely redrawn front end and the striking rear end give it a dynamic appearance." The matt-titanium Quattro logo has been repositioned on the grille. It now sits in the lower part of the matt gloss back single-frame grille. Behind the grille, there are additional radiorts to cool the International Engine of the Year Award winning 2.5-litre engine. The air inlets flanking the grille have been enlarged and is now divided by vertical strips on the inside and outside. At the rear, there’s a newly designed fixed rear wing with winglets designed to “catch the eye” There’s also what appears to be fake rear vents above the new RS diffuser. Inside, there’s a new RS design package that adds red or blue highlights to the car on the air vent doors, the seat belts, and the floor mats with the RS logo.